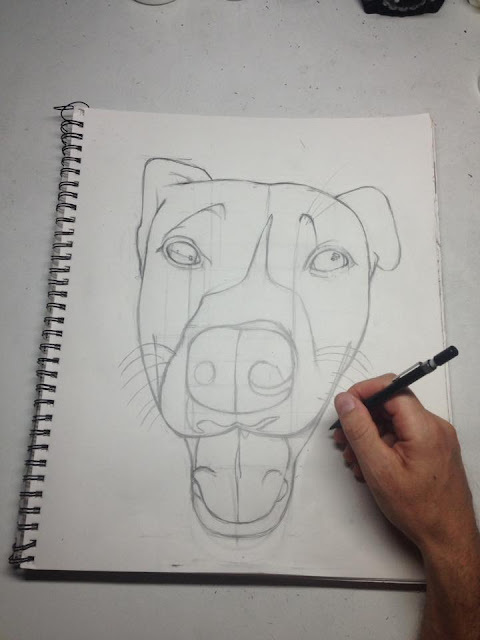 Sketching out a pit bull portrait. 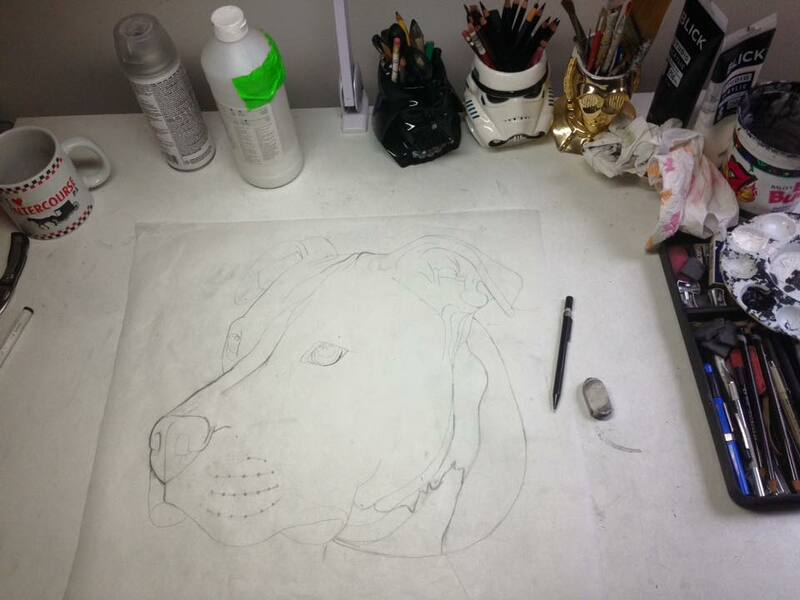 Today I am sketching out a pit bull dog portrait. One day I plan to save a pitbull for a dog of my own. Until then, I'll just have to draw dog portraits of pitbulls. I'm excited to ship out these two dog portraits today. The dog on the left goes to NYC. The dog on the right goes to LA. 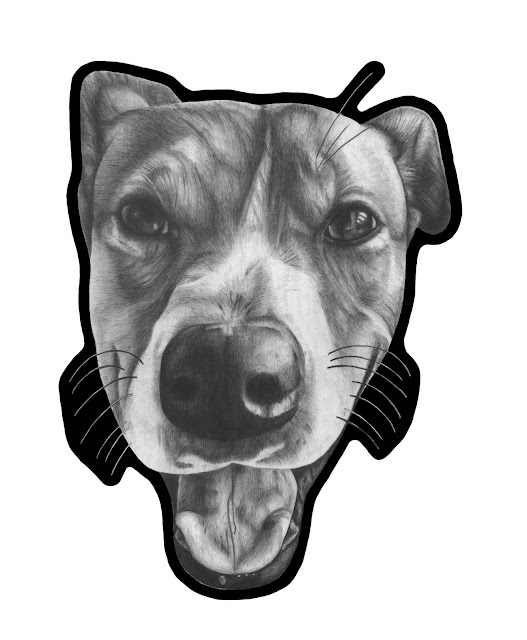 Here is the dog portrait of Lucy. 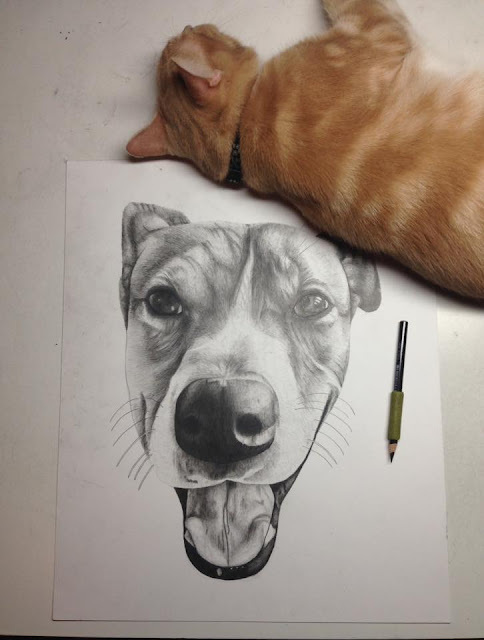 Drawing with a little help. I'm getting a little help from a friend to draw this dog portrait. Frankie just loves to lay down on my drawing table while i'm drawing, sheesh. 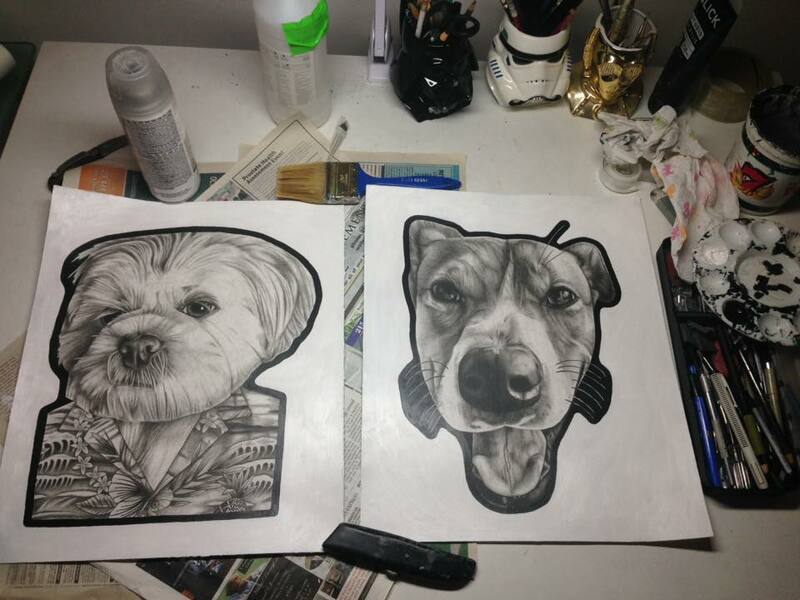 Stay tuned for Lucy's finished dog portrait! I have started a portrait of a dog named Lucy. Check it out! 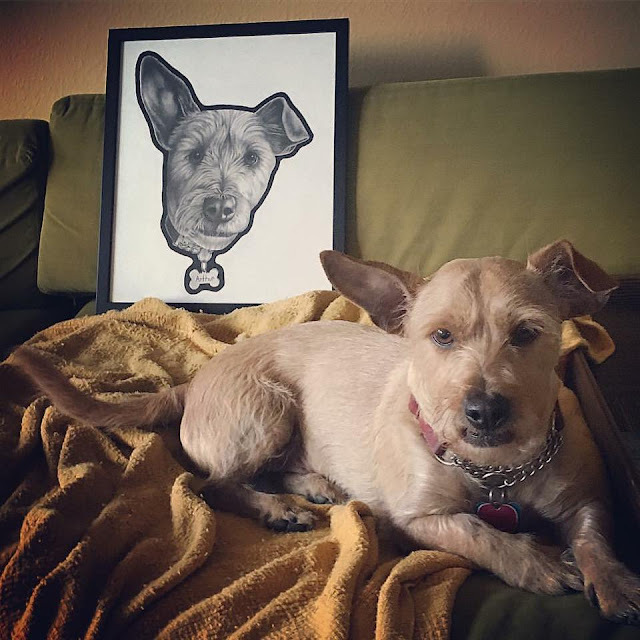 Here is Arthur laying down next to the portrait I drew of him. Nice. 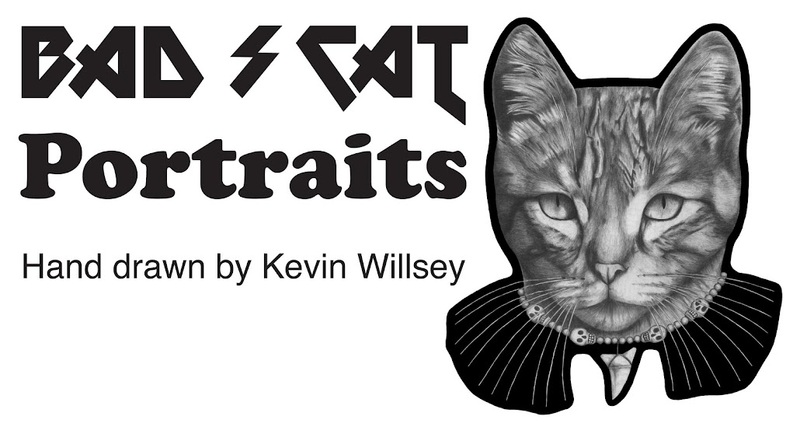 Here is the alley kitten portrait. The kitten is wearing an eagle claw necklace. 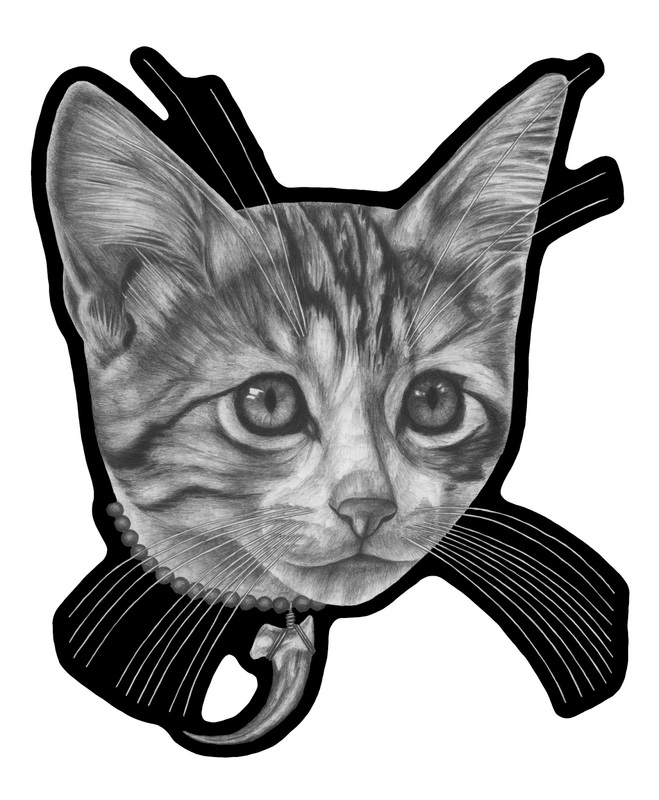 I gave the kitten an eagle claw necklace because I always see the kitten eyeing the birds readying for sneak attack.